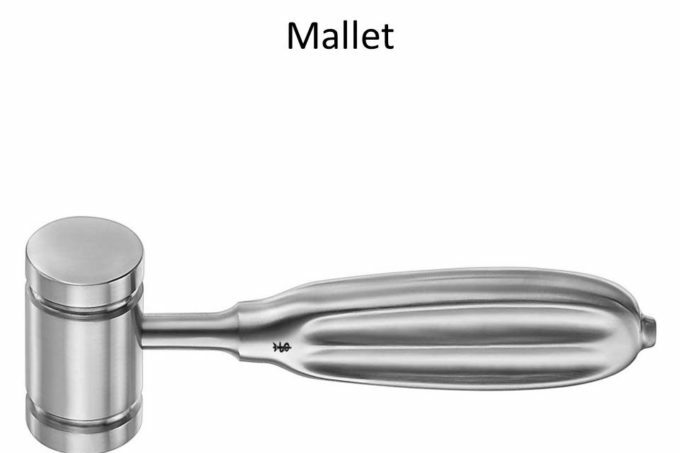 The head consists of a heavy, blunt, smooth surface with the cylinder-shaped head. Also used in dissection and resection of bones like spinal and nasal bone. Mainly used with osteotome and chisel to advance into the target cartilage or bone.